Sometimes a time comes in life when you have to make the decision in your life; otherwise, you may feel guilty and think what if I could do this and that. If you have some reason to spy on your kids and teens, spouse and employees, then you may need something perfect to do that job. If you really ready to monitor or listen within your surrounding being an employer, you want to listen surrounding of your kids when you are not physically present and being a spouse you want to listen to surrounding sounds of your partner. Say thanks to the contemporary MIC bug feature of the TOS monitoring software. The feature has categorized in three parts. The first one is SpyVidCam Bug, the second one is MIC bug and last but not the least is cam bug. Every sub-feature of Bug their phone feature has its unique importance. Let’s take how these features help you out and how these features can be utilized. SpyVidCam: How Does it works and helpful for users? Worried parents, irritated employers and suspicious spouses can use this feature to put their all worries to rest and can create short videos of their target device user. You just need to login into TOS dashboard and then have to deliver the message to the target device. The SpyVIDCam feature can be initiated with the help of push button. When the notification is being received by the target device, then you can record all the required information through back and front camera in the shape of short videos. The user has plenty of options such as videos can be created from 1 minute up to 3, 1 minute up to 5, and from 1 to 7minutes as well. The user can set time preferences regarding the time period of video through the control panel. Being a user you are free to make videos at any time in order to keep a good eye on your target, but the availability of internet connection is necessary. In case you are target device is facing some sort of signal problems or limited connectivity issues, then the execution of the task will go on pending until the target device got its internet access again. MIC Bug: How it works and helps you? 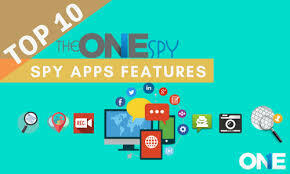 User whether they are parents, employers and spouses just need to log into the TheOneSpy cell phone spy app account with the help of the dashboard and then visit the given features and select the desired feature. Then it will record all surrounding sounds through making use of MIC of the target device. Now it is the time create a MIC Bug and select the time options from 1 minute to 5, 1 minute to 10, 1 minute to 30 and up to 45 minutes. And then send command on your target device to initiate. The MIC Bug feature provides user privilege to send back to back commands at once in a sequence along with the set timings of every single command. When the user sends command through the control panel on target device the MIC bugging starts working until the given timing and rest of the commands stay on pending. Once the MIC Bug starts working, it starts uploading voices and surrounding sounds. All the uploaded recordings recorded on a dashboard can also be downloaded from the dashboard for your computer in order to listen to the stuff online for your on convenience. In case your commands or notifications don’t reach the target device, then you can check the status that either the notifications are on pending or failed due to of limited internet connectivity. Cam Bug: How Front and Back Camera Bugging works and help you? Users in the shape of employers who want to check make a check on employers in work timings, parents who just want to know the whereabouts of their kids and teens and spouses who have some serious reservations about the loyalty about their partners can utilize the cam bug feature of TheOneSpy monitoring app. They just all need to do is to visit the control panel in order to get access to the target device through by making use of front and back camera feature of the spy app remotely and get started viewing surrounding by capturing the images by front and back camera of the target device. The Cam Bug feature of the monitoring software allows parents to see the surrounding of their kids when they are not physically present to protect them.